That is how Kondwani Munthali, winner of the MISA Malawi Blogger of the Year Award, put it! Blogging is something he has enjoyed doing though at times it has put him into direct conflict with his work as a journalist of Nation Publications. 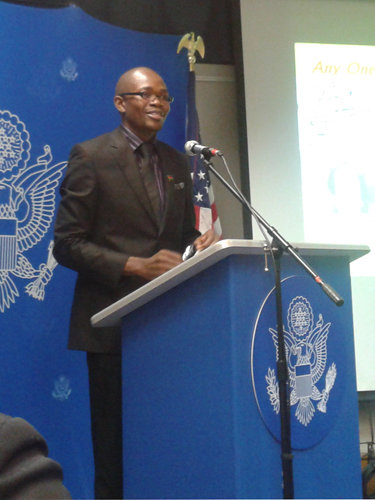 Kondwani made this revelation at an Introduction to Blogging event organised by the US Embassy in Malawi last week. Together with Soyapi Mumba and myself, Kondwani encouraged the mainly journalism students in attendance to embrace blogging as it gave them the freedom to express themselves, something they may not always be able to do freely when writing for a publication. 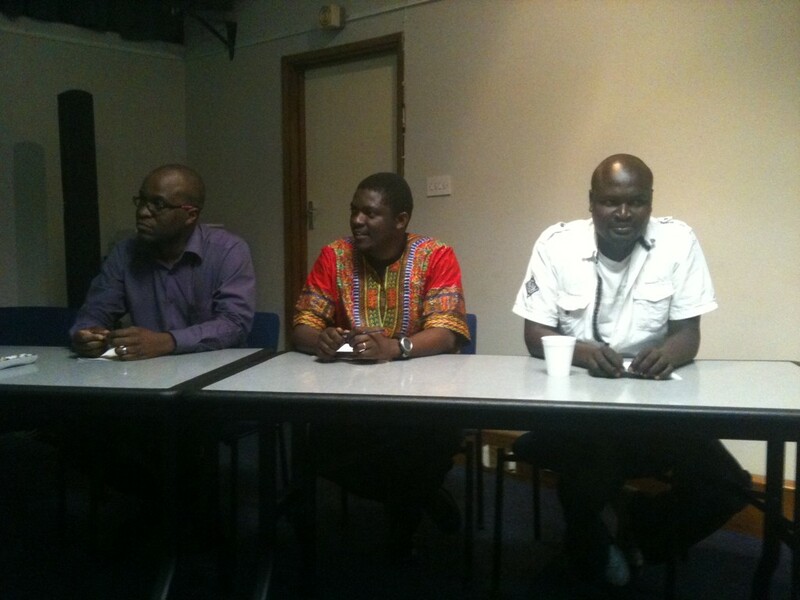 Soyapi explained how after he had blogged about William Kamkwamba, the world opened up for the young boy from Kasungu and that managed to get an international scholarship. Other contributors on the day included Global Voices editor Victor Kaonga, social commentator Jimmy Kainja, Ministry of Health spokesperson Henry Chimbali and Kumbukani Kuntiya who runs Malawi2014 on Twitter. The students had a lot of questions on how to start blogging and best practices. The event was earlier opened by the Charge d’Affaires Lisa Vickers who stressed the importance of social media and blogging. 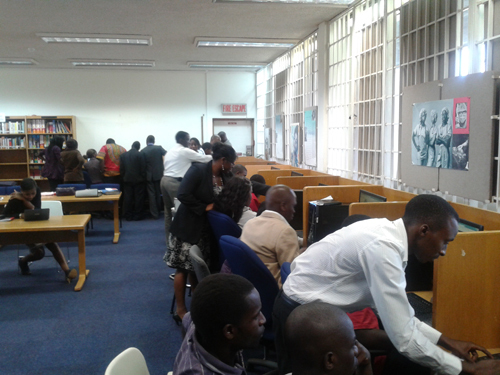 Later the Minster of Information Moses Kunkuyu encouraged Malawians to use social media as it provided an alternative to the mainstream media. 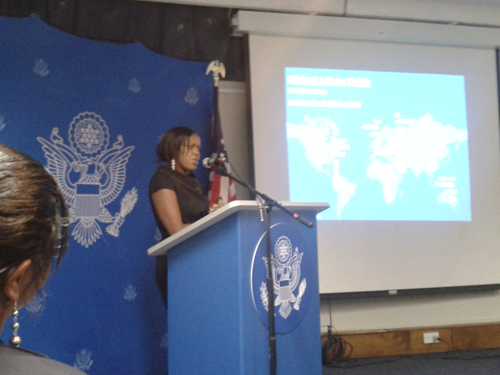 US Embassy’s Grace Nachiola also gave a presentation on the background to Social Media highlighting key statistics of its growth, influence and use especially by the youthful members of society. After the discussions and presentations the journalism students went through a practical session of creating blogs of their own. Are we learning from the happenings around us?